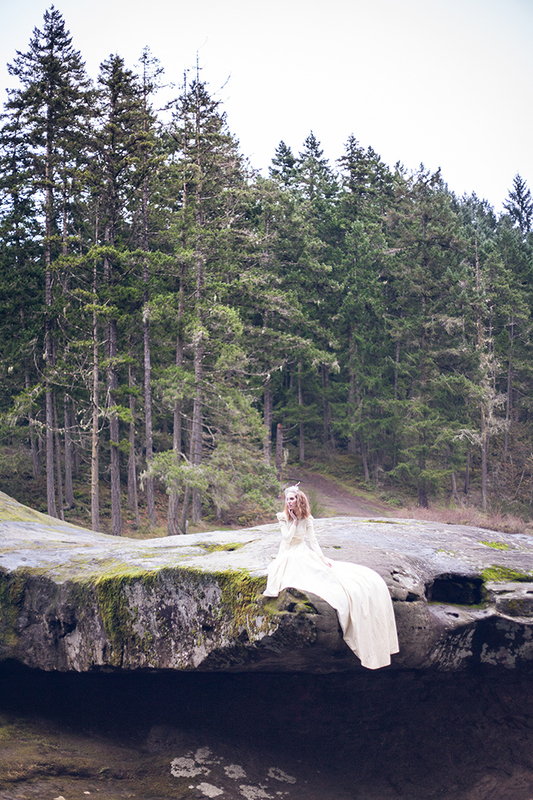 A beautiful location always makes a photo shoot. 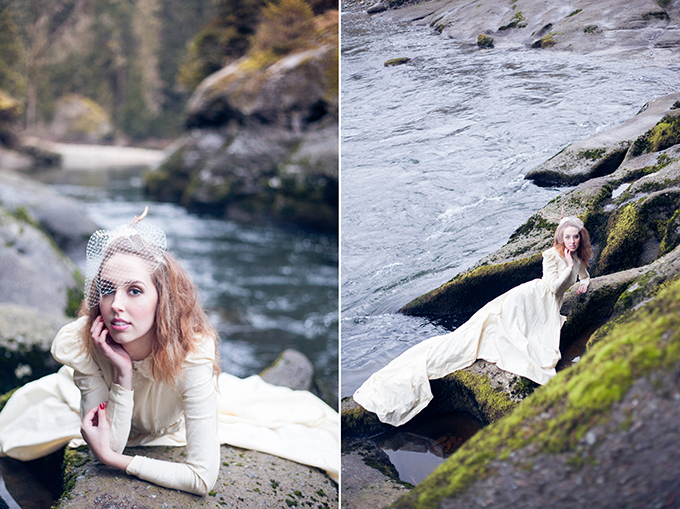 The stunning Canadian riverside is the scene for today’s shoot, and I don’t think it could be more breath-taking. 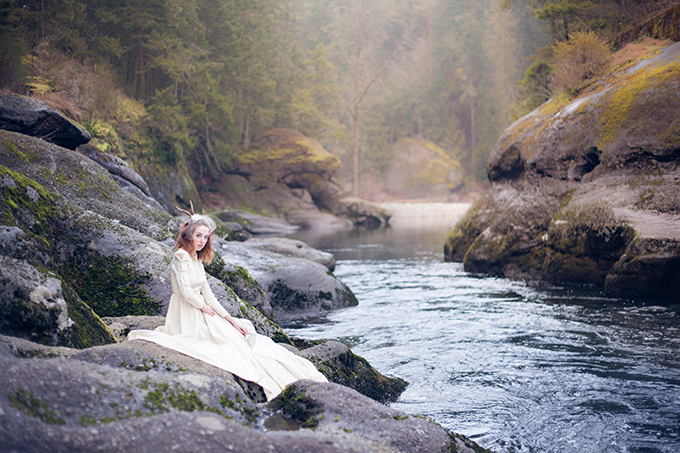 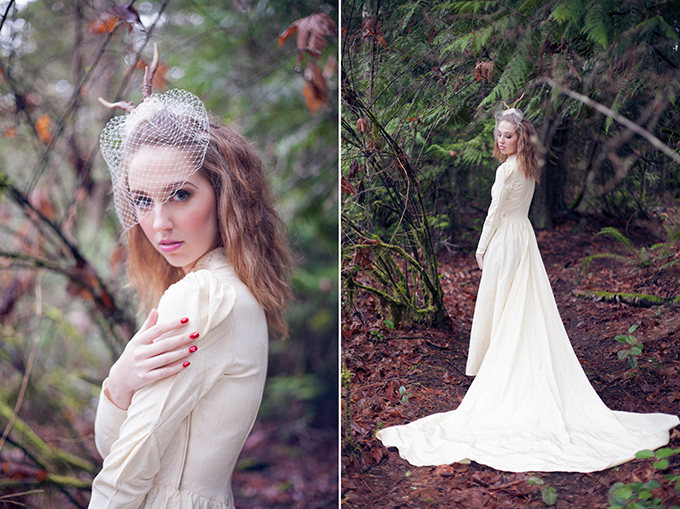 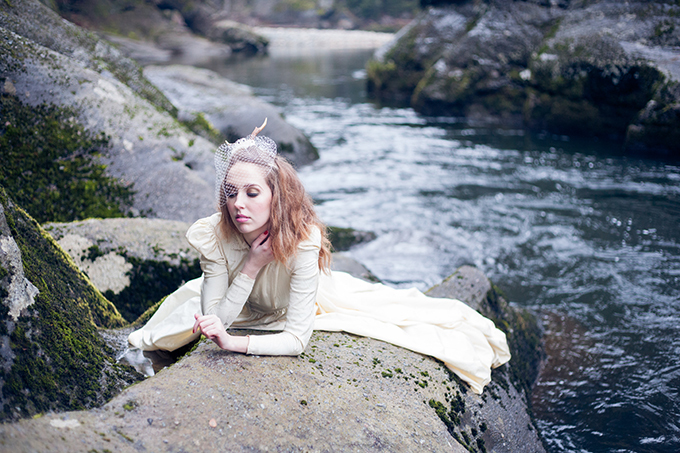 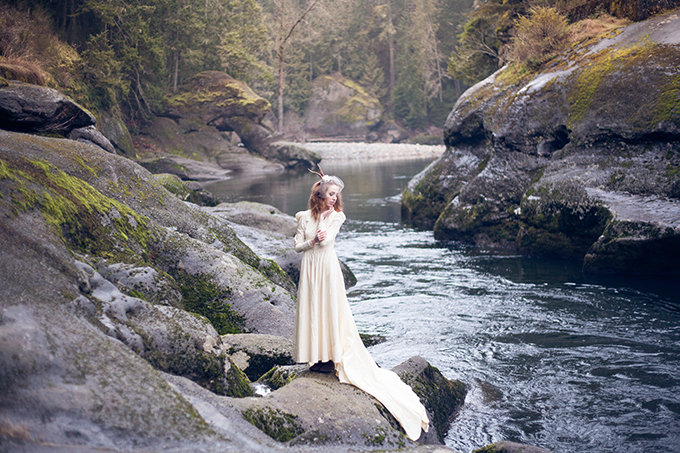 Chelsea Dawn Photography & Makeup Artist styled this bridal session after finding this amazing 1900’s wedding gown. 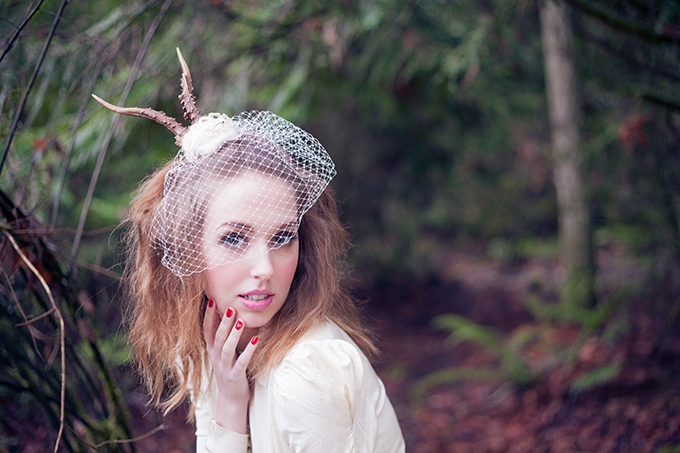 The antler veil would definitely be for an adventurous bride wanting something unique and is a great example of choosing accessories that are a fit not only with your gown, but your personality. 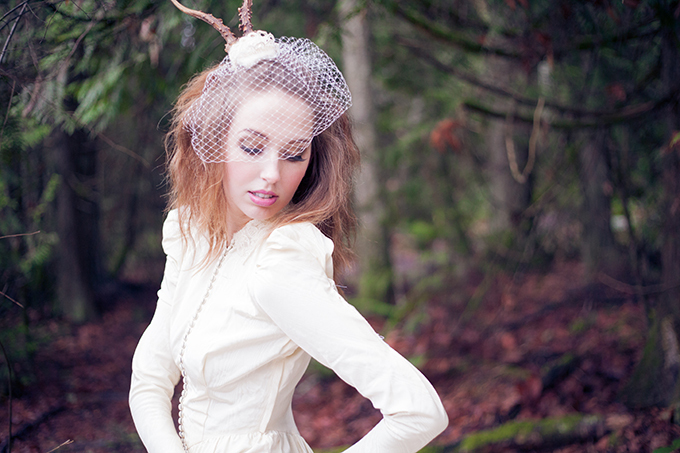 This is SO great - I adore those antlers! 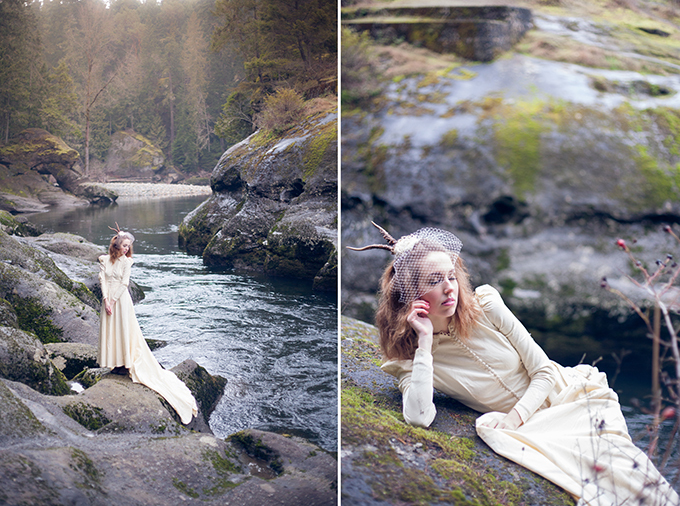 Just the right amount of whimsey.